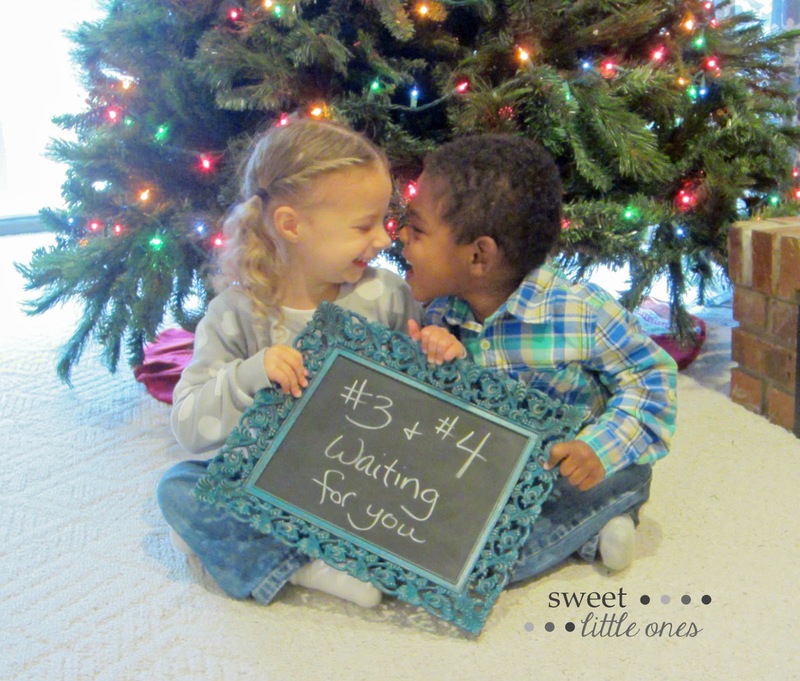 Sweet Little Ones: Adoption Update: We've Been Matched x 2! 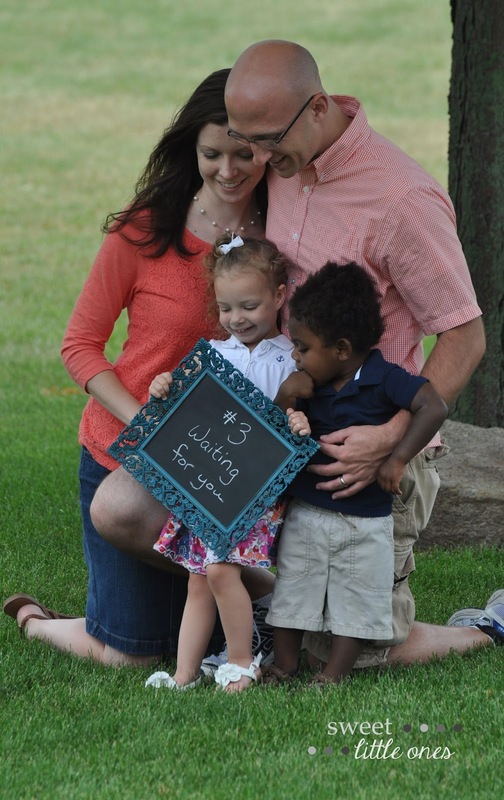 It's been very busy around my house lately...because we have received some big news regarding our adoption! 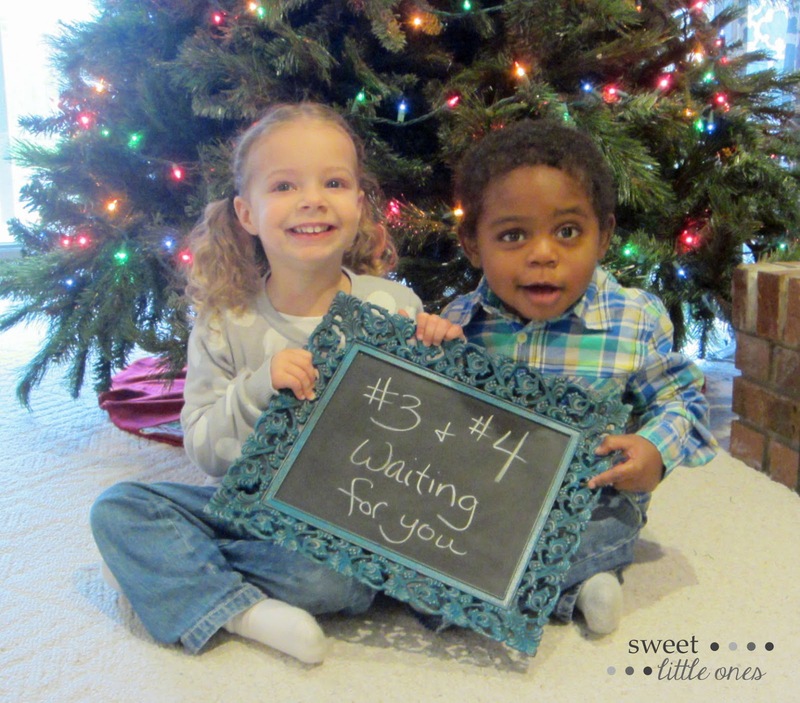 About a month ago, we were matched with a potential birthmother...who was due with twins...on Christmas Day! We were so excited - twins! We knew it would be a lot of work, but so amazing too. We were just elated! However, the agency was very leery of the situation, but felt it was worth looking into. This definitely made us nervous. I can't get into much detail, but we met with the potential birthmother, and in the end, it did not work out. We were sad about the situation, but knew that God has a special little one out there for us. This has happened to us before. We had a fall through before we were matched with our son's birthmother. If that fall through wouldn't have happened, we wouldn't have our little boy. And he was always meant to be in our family. It's just difficult at first because it's too hard not to get your hopes up when you get that first call. You try to guard your heart, but it's impossible to not imagine that little one (or little ones!) as a part of your family. So we were sad, but hopeful too. So after speaking with the agency all morning, I got back to daily life. Then...two hours later, my cell phone rings. It's the agency again. I answer, figuring that they forgot to tell me something about the match that didn't work out. After I apologized for laughing, she goes on to say, "And can you believe it? It's twins again!" More hysterical laughter from me. Seriously. Yes, seriously. Two hours after the Christmas twins fall through, we're matched with another birthmother due with twins. You just can't make this stuff up! So we have now met with this courageous young woman, and are planning on getting together several more times before the twins are due, which is the beginning of March (but we are expecting them to arrive in February). We are sooooo excited! So, in this joyful and nervous time for us, will you please do me a favor? Please pray for our dear birthmother - for peace, strength, and guidance in her decision. For the birthfather. For health and what's best for the twins. And for our family - for peace and strength as well. Thank you, my dear friends. You don't know how much your prayers mean to us. Where would we be in this world without being prayer warriors for each other?! Aaaaahhhh, I've been so excited to share this news! I'll keep you updated! Edit (12/22/14): I've updated our story a little more here on how your prayers help us... Merry Christmas! Hi Jessica! I just found your blog and WOW this is the first post I read! So excited for you and your big news!!! Incredible. We'll be praying for you guys!!! Wow wow! This is most amazing -- thank you for sharing your journey along the way -- the ups and downs and hopes! I will be joining with you in prayer as you wait and anticipate the new bundles of joy. Praise the Lord! What an amazing TWIN filled story!! I'm sure it's been a roller coaster of emotions at your house lately. 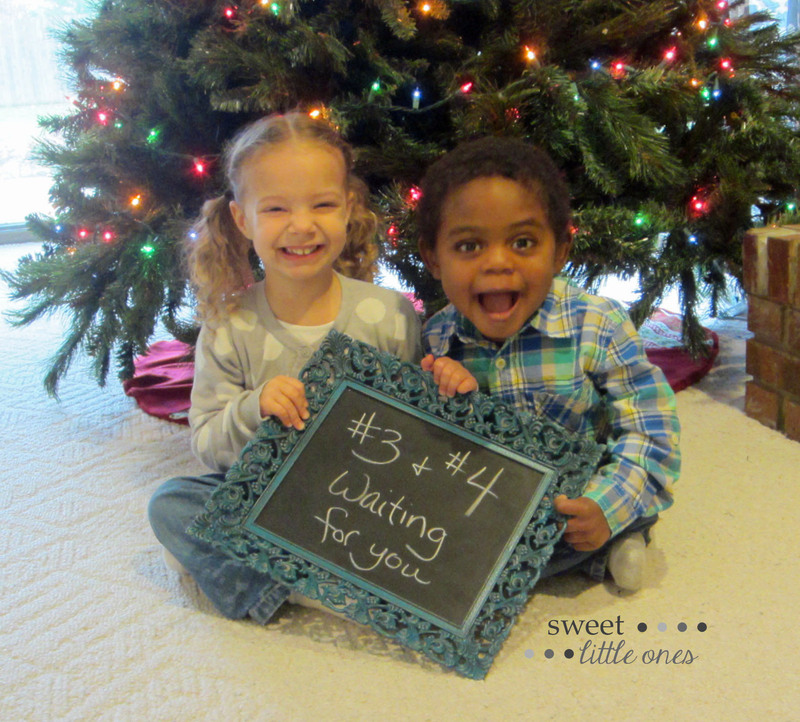 I'll be praying hard for all of your prayer requests and that the perfect little people can join your family in 2015. Thanks for the exciting update. Can't wait to see the story God has planned for you unfold. Merry Christmas!! How amazing! I cannot imagine the emotions. Sending up a prayer for your family, those sweet babies and the birth mom. Oh...and that picture of your two is just precious! Congratulations! Prayers are with you. Your positive attitude and knowing that God always has a plan is so amazing to hear! Oh my goodness. My heart was in my throat reading this post. So happy for you but I know you must be a bit nervous as well. God's Blessings. Congratulations! This must be such an exciting/anxious time, but you've been through it before! I hope everything works out for what's best for everyone! So exciting! Praying for the birthmother, the twins, and you all! Wow! Congratulations on being matched not once, but twice. That is so exciting and those children will be lucky to be a part of your family. Fingers crossed and prayers for the mother and those babies as they continue to grow. Woah twins!! I was behind on blog posts so when I read this I about jumped outta my chair! We will definitely be praying for all of you! God Bless! I am so excited for you! Twins!! Your family is in my thoughts and prayers, as well as the expectant mom and babies! Eeeh! So exciting! I loved reading this sweet story! 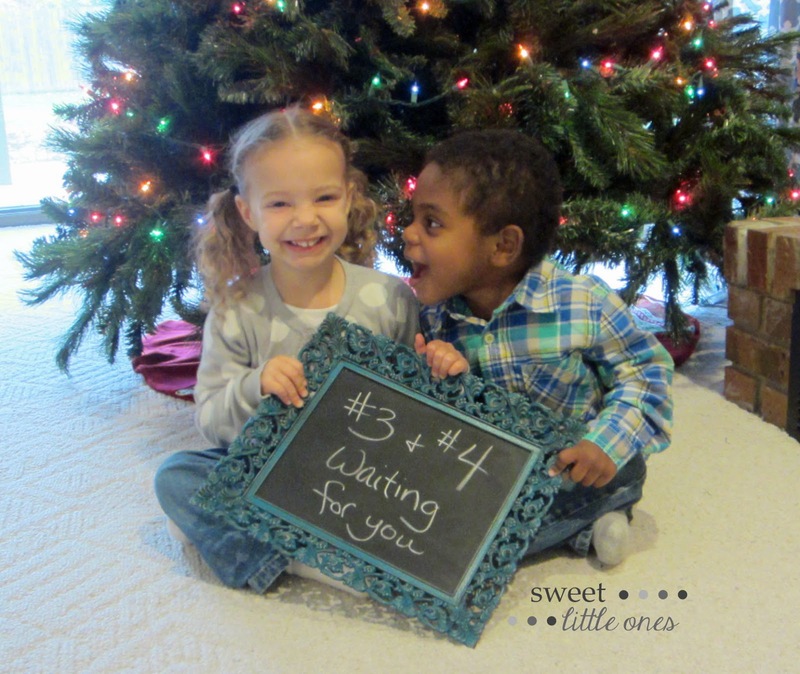 How incredibly exciting to be growing your family, especially by two children at once! Those pictures of your little ones with the sign are too cute! Congrats! That is exciting. You must really supposed to have twins.